The tribunal on May 11 had imposed an environment compensation of Rs five lakh each on Deputy Commissioner of Vrindavan and Nagar Palika Parishad, Rs one lakh on UPPCB and Rs 50,000 on district administration for causing environmental degradation in the temple town. Taking the Uttar Pradesh Pollution Control Board (UPPCB) to task for indiscriminate dumping and burning of municipal waste in Vrindavan, the National Green Tribunal has refused to modify its order slapping an environment compensation of Rs one lakh on it. A bench headed by NGT Chairperson Justice Swatanter Kumar said it was “shocked” at the role of UPPCB in controlling pollution and “it appears to be a kind of routine matter for the Board to issue notices and take no further action on the basis of such notices”. It said that UPPCB was a statutory body which was required to perform “statutory” functions to prevent and control pollution as its primary duty. The UPPCB cannot shift the blame to other authorities only on the ground that public authorities were required to collect and dispose of the municipal solid waste (MSW) in Vrindavan, the NGT said. “The present applications have been filed without any substance. They have been primarily filed to avoid the liability...Even now, there is not a single document, scheme or guideline filed by any of the Respondents, district administration, Nagar Palika and UPPCB to show individually or collectively that they have attempted to resolve the issue of dumping and burning of MSW in Vrindavan. “The report of the Local Commissioner discloses the pathetic state-of-affairs prevailing in Vrindavan even on the banks of Yamuna...The respondent cannot repeatedly harm the public health and environment by not acting in accordance with their statutory and public law obligation. For these reasons, we see no ground to modify and/or recall the order dated 11th May, 2016,” the bench said while dismissing the pleas. The tribunal said the petitions moved by UPPCB, Nagar Palika Parishad and the District Magistrate seeking recall of May 11 order were “without substance” and lack “bonafide”. 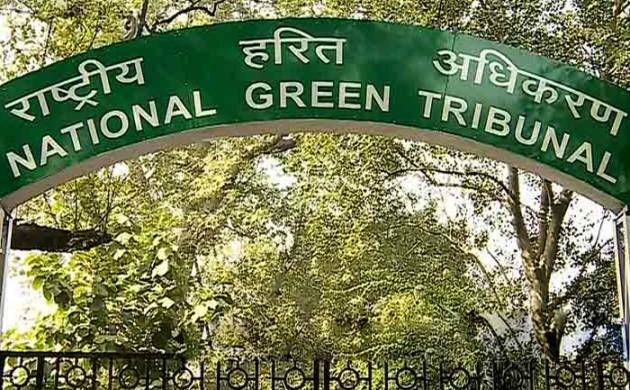 The NGT said the authorities cannot “repeatedly” harmpublic health and environment by not acting in accordance with their statutory and public law obligation. The directions came during the hearing of a plea by seer Madhumangal Shukla who had approached NGT against “illegal” and “unregulated” disposal of solid waste in the city. The NGT had earlier restrained the Vrindavan municipal corporation from burning domestic waste in the open and issued notices to the Environment Ministry, Central Pollution Control Board (CPCB) and others while seeking their reply. Shukla had alleged that entire environment of Vrindavan was suffering due to the lack of implementation of Municipal Solid Wastes (Management and Handling) Rules, 2000 as garbage was being disposed of carelessly in drains and on the banks of river Yamuna, leading to clogging and stagnation. The plea claimed that the only landfill site in the city has been sold to Mathura Mandi Samiti for setting up a wholesale market, resulting in reckless accumulation of garbage on the streets.